"No man is an island entire of itself; every man is a piece of the continent, a part of the main; if a clod be washed away by the sea, Europe is the less, as well as if a promontory were, as well as any manner of thy friends or of thine own were; any man's death diminishes me, because I am involved in mankind. John Donne wrote this in 1624 – 395 years before Saia Misa Jr was brought into this world. Yet, no words ring truer when applied to Saia. All of our lives are diminished by his passing – all except his, as he spent his life enriching ours. Saia took his first breath in Vailoati, American Samoa on February 18, 1953. He was 9th out of 10 children born to Saia Misa Sr. and Maumea Leota- Seumalo- Misa. At the age of 4, Saia and his siblings left for Oahu, Hawaii. It was here, on the sunny beaches of Oahu, that Saia learned much from his parents – his father teaching him to fish from the surf, bring back the catch and prepare it in the Samoan way. Of being patient in the ways of life, listening to what people would say, then thinking before speaking. His mother taught him compassion, caring and above all, respect for all he met – after all, you are only as good as how you treat another person. When Saia was 13, the Misa brood left Hawaii for Wilmington, California, where he attended Phineas Banning High School, excelling in all manner of sports, but especially Track and Field. Tragedy struck in 1969 when his brother, Leke, was lost in Vietnam. This deeply affected Saia throughout his life – in fact, he traded in his Track cleats for a Football helmet before he left Banning HS in honor of Leke. In 1971 and ’72, Saia attended LA Harbor College, getting ready for his debut at Boise State University, where he was named to the All-70’s Boise State football team. He made a mark nationally, as well, becoming an All-American Defensive Player along with All-Big Sky DL in 1974. In 1976, Saia signed as a Free Agent with the Seattle Seahawks as a middle linebacker. In 1977, a severe shoulder injury ended his promising career. In 1982, Saia left the mainland for his childhood home of Hawaii. This is where he began work in the hospitality business. He made many good friends while in Hawaii and if you ever had travel plans to the Island, Saia would be sure to set you up for at least a drink and chat with several of them. In 1991, Saia was called to Montana as a member of a sparkling new enterprise, the Montana Grill restaurant/bar in Somers. He would continue in the restaurant business, working at nearly every establishment in the Bigfork area. In the mid ‘90’s, Saia helped open Hale’s Lake House in the current Great Northern Restaurant location. It was the rockin’ place in Bigfork for several years. Soon, it became apparent to Saia that his wealth of knowledge in coaching and training were his true calling. In 1995, he started his coaching career as Line Coach at Bigfork High School. That year they went on to play Frenchtown in the Class A State Championship, unfortunately, a loss. In 2010, working alongside coaches Todd Emslie, John Little, Ed Buttery, Jake Hill, Jim Epperly, Fred Sterhan and Ken Sharr, he made up for that by defeating Fairfield in an exciting, last minute victory for the State B Football championship. He coached football at BHS, on and off, for 23 years, concentrating on the linebacker group. Many a BHS athlete will recall Saia prowling the practice field while their parents recollect Saia’s penchant for wearing shorts, on game day, in sub-zero weather. He worked with any student who wanted to improve their game or fitness, in any sport – and if they were dedicated, he worked them hard. Saia kept his football contacts not only at Boise State, but several other universities. There were a number of Bigfork athletes that made football recruiting trips arranged by “Uncle Si”. During this time, Saia also worked at the Montana Athletic Club. His 26 year stretch as a Personal Trainer has been unmatched in the number of people/clients he helped. Some of those clients were with him for 20 plus years. Everybody from grade school kids getting ready for high school football/basketball/track/tennis to recovering stroke victims, knee/hip replacements worked with Saia. His methods were interesting, thorough and, well, Samoan. There was always a dose of “your body is telling you to take it easy – so take it easy!!”. Then, after your next session with Saia, you were thinking that you should tell him your body needed rest quite a bit more often. In 2013, Saia was the driving force in the creation of the Montana Athletic Club Dragon boat team – Fa’asaulala. Which he named, saying the Samoan word (which no one could pronounce) meant “from the mountains to the sea”. He taught us all how to paddle, in those first years, tutored us in chanting and how to drive that boat for a win. Saia was a comfort to many, his easy going, steadfast demeanor a rock for those who needed a rock to cling. He was always available to help, not only with lifting the heavy end of a couch but sage advice delivered over a cold beer. Saia’s counsel came from his Samoan roots, his family’s easygoing style – nothing ever really got him upset, which is a good thing, I think, for the person trying to upset him. Money and fame were not important, the people surrounding him were, those were the real currency of his life. How could you ever forget that huge, brown visage, with the space between those pearly front teeth, light up like a Christmas tree when someone he knew/enjoyed/cared about appeared. It felt like what a brilliant day would be like on a warm, sandy Samoan beach, that megawatt grin washing over you, carrying away whatever inconsequential, niggling thought was wearing away at you. For that brief period, Saia was like a great movie – you forgot about all your problems. Saia was a very private person, not in the way that was callous or miserly, but in that he did not want to burden you with his problems. He rarely asked for help, but if he did, it was because he needed help – to help someone else. While he never married or had children, both of those were in great abundance, as far as he was concerned, by the people around him. 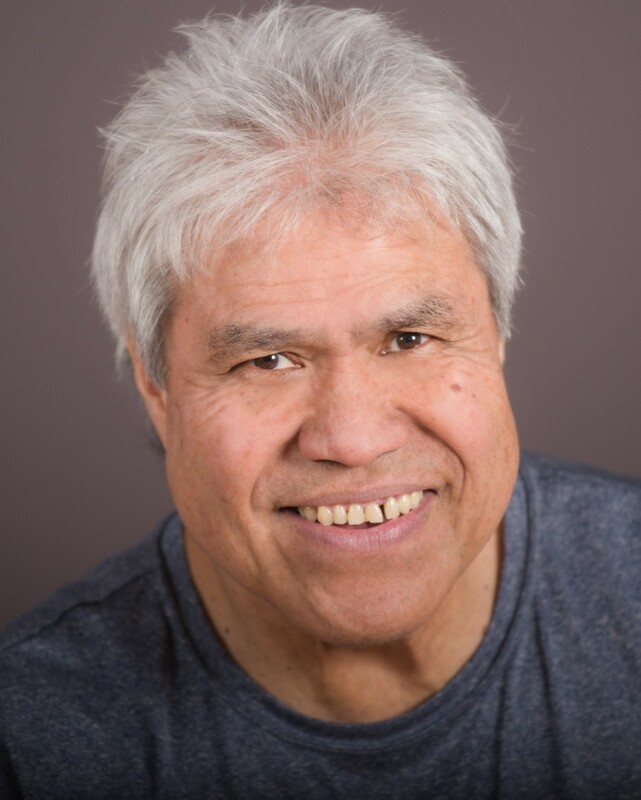 Saia left us Sunday, April 7, 2019 of a massive heart attack. The bad thing is that it was too quick, we had no time to prepare, to conceptualize a world without Saia. The good thing is it was quick, for nobody can envision Saia in a hospital bed – and woe to the orderly who tried to keep him there. He is survived by his sisters, Annie Misa-Taesali, Mara Saia, Mary Misa-Casey and Christina Misa-Nonu, all residing in California. His five brothers are deceased, as are his parents. Saia has many, many nieces, nephews and relatives spanning the globe. Saia’s family will be having a semi-private service Friday, April 19th at the Columbia Funeral Home in Columbia Falls. Visitation is from 11:00am to 1:00pm, with a Service to follow. Saia’s Celebration of Life will be at the Montana Athletic Club on Thursday, June 27th starting at 4pm. All are invited to share stories and remanence about the Big Samoan. In leu of flowers, a Bigfork High School Student/Athlete Scholarship in the name of Saia Misa Jr has been created. Please contact the Montana Athletic Club at 837-2582 for details.